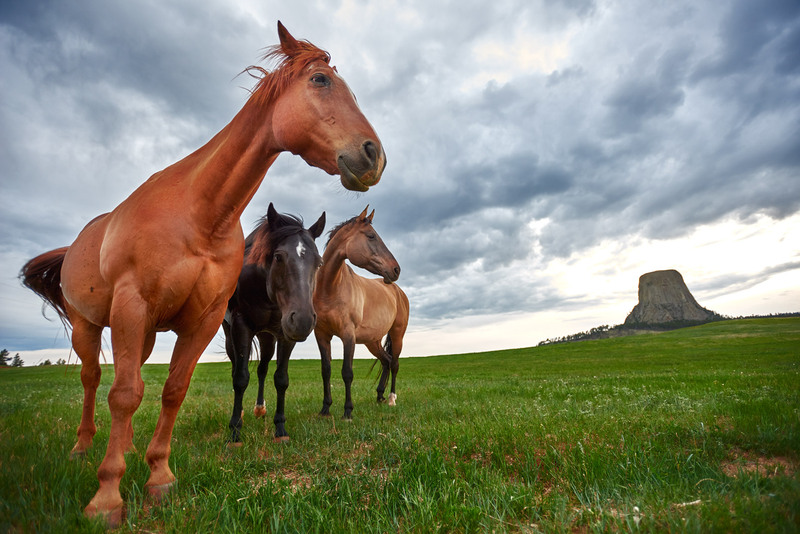 A group of horses graze at the foot of Devils Tower National Monument. History: Devils Tower was the first declared United States National Monument, established on September 24, 1906, by President Theodore Roosevelt. The Monument's boundary encloses an area of 1,347 acres (545 ha). In recent years, about 1% of the Monument's 400,000 annual visitors climbed Devils Tower, mostly using traditional climbing techniques.